Although Sonny Terry & Brownie McGhee had a stormy, tempestuous relationship at times, they recorded more than their share of great Piedmont blues during their many years as a duo. Terry and McGhee parted company in the mid-'70s, but Walk On (which Just a Memory/Justin Time reissued on CD in 2005) finds the two of them reunited on-stage at the Rising Sun Festijazz in Montreal, Quebec, on July 22, 1980 (when Terry was 68 and McGhee was 64). And despite all of the well-publicized friction that sometimes existed between them in the '60s and '70s, Terry and McGhee don't sound like they are unhappy to be reunited on this 55-minute disc -- not at all. In fact, the two of them enjoy a strong rapport during a six-song set that includes performances of "Good Morning Blues," "Walk On," and "I'm Gonna Get on My Feets After a While" (which is a perfect example of why the Terry & McGhee twosome was highly regarded in both blues and folk circles). 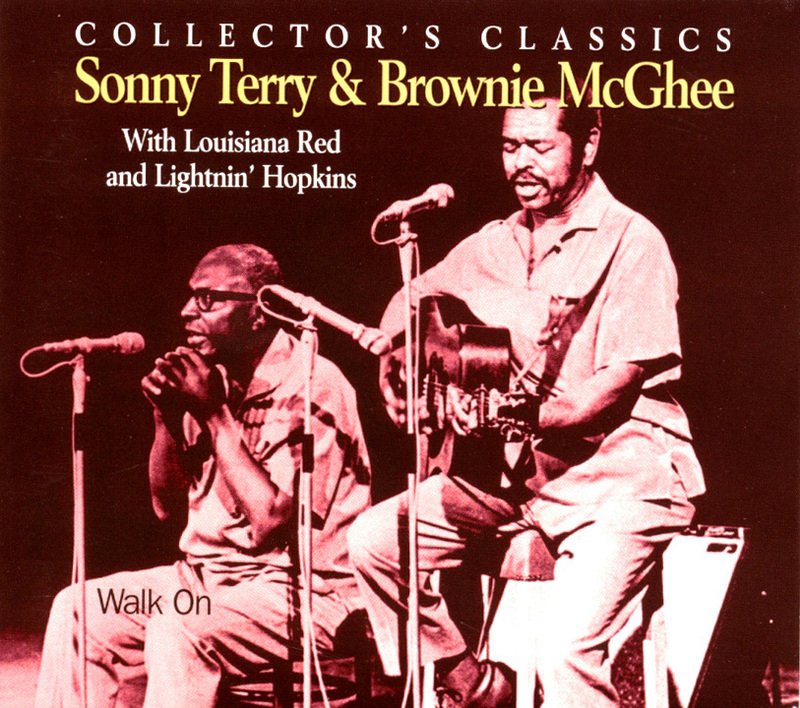 Walk On isn't strictly a Terry & McGhee release; while half of the CD is devoted to them, the other half consists of three selections by Lightnin' Hopkins and three by Louisiana Red (who is in good form on "I'm a King Bee" and "Sweet Home Chicago"). And it is interesting to note the stylistic differences between the artists -- you have Piedmont blues from Terry & McGhee, Texas blues from Hopkins, and a Louisiana-meets-Chicago approach from Louisiana Red.